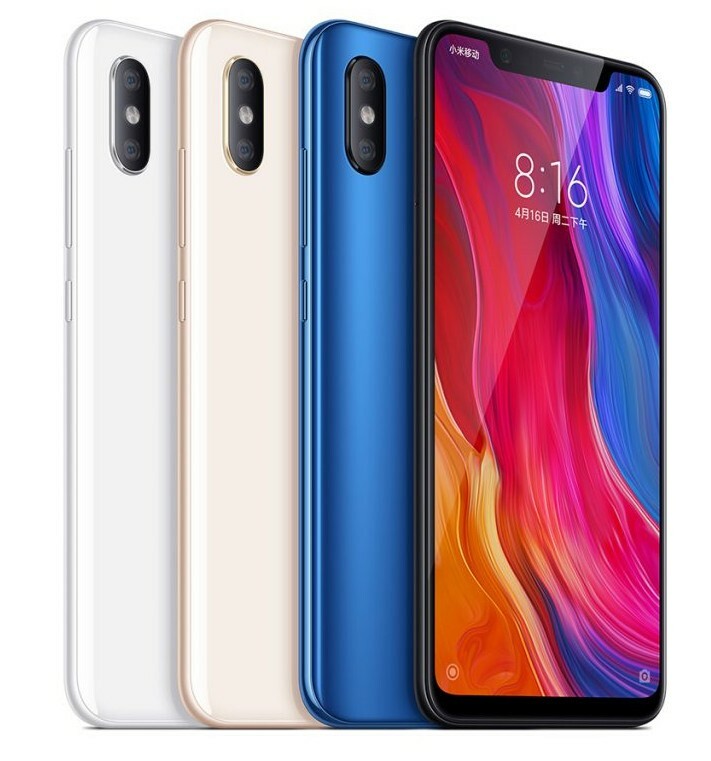 Xiaomi announced its flagship Xiaomi Mi 8 smartphone at an event in China. It sports a 6.21-inch FHD+ AMOLED display from Samsung with a notch and 88.5% screen-to-body ratio. It is powered by Snapdragon 845 with up to 6GB RAM and runs on Android 8.1 (Oreo) with MIUI on top. The company said that it has the overall DxO Mark score of, with 105 scores in DxO Mark for photo. 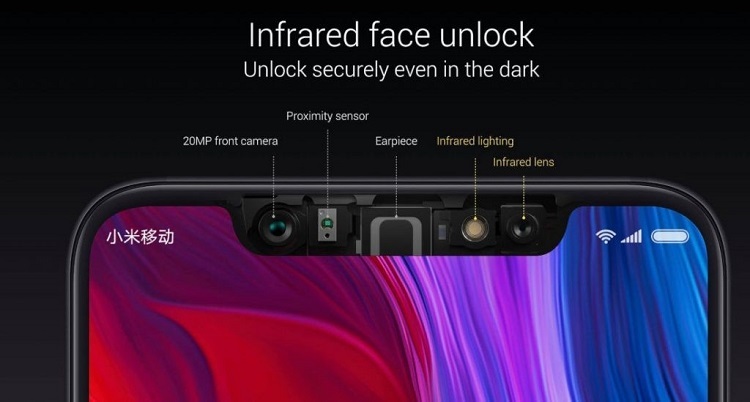 It has a fingerprint sensor on the back and also comes with face unlock feature that uses an infrared sensor and lens that works even in dark by scanning 4096 facial points. It packs a 3400mAh battery with support for Quick Charge 4+. It has dual rear cameras, the primary is 12 MP with Sony IMX363 sensor, 1.4µm pixel size, OIS, Dual Pixel auto focus, the secondary is also 12 MP camera for AI portraits and it has AI scene recognition as well. On the front side it has 20 MP camera that support for AI portrait selfies with real-time background blur and AI Studio Light Effect. The phone has a glass back with a unique water drop arc design, four curved glass body with 7 series aluminum frame. The mobile sports a 6.21-inch Full HD+ 18:7:9 AMOLED display with 600 nits brightness, 60000:1 contrast ratio, DCI-P3 color gamut with a resolution of 2248 × 1080 pixels. It is powered by 2.8GHz Octa-Core Snapdragon 845 64-bit 10nm Mobile Platform with Adreno 630 GPU and runs on Android 8.1 (Oreo) with MIUI 9, upgradable to MIUI 10. The device comes with 6GB LPDDR4x RAM with 64GB/128GB/256GB (UFS 2.1) storage. It has dual rear camera the primary is 12MP rear camera with 26mm wide-angle lens, 1/2.6″ Sony IMX363 sensor, f/1.8 aperture, 1.4µm pixel size, dual-tone LED flash, 4-axis OIS, Optical zoom, 4K video recording, secondary 12MP rear camera with Samsung S5K3M3 sensor, f/2.4 aperture, 1.0µm pixel size, 2X zoom. On the front side it has 20MP front-facing camera with real-time AI portraits. The mobile supports Dual 4G VoLTE, WiFi 802.11ac dual-band (2×2 MU-MIMO), Bluetooth 5, Dual-frequency (L1+L5) GPS/GLONASS/Beidou, NFC, and USB Type-C. It also has Dual SIM (nano + nano) and IR Face unlock feature. It comes with Fingerprint sensor on the back of the phone. The mobile packs 3400mAh (typ) / 3300mAh (min) battery with Quick Charge 4+ fast charging. It has a size measurement of 154.9×74.8x 7.6 mm and weight is 175g. 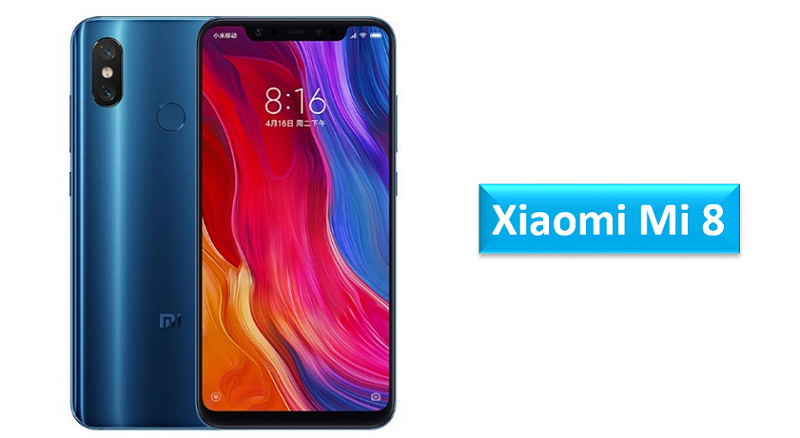 The Xiaomi Mi 8 is priced at 2699 yuan (US$ 421/Rs. 28,460 approx.) for the base 6GB RAM with 64GB storage version. While, it is priced at 2999 yuan (US$ 468 / Rs. 31,620 approx.) for 128GB version and it costs 3299 yuan (US$ 512 / Rs. 34,785 approx.) for 256GB storage versions. It comes in Black, Blue, Gold and White colors. The Mi 8 smartphone will be available in China from June 5th. Share us your views on the Xiaomi Mi 8 smartphone in the comments section below.